Julie Ramon-Pierson grew up hearing stories about her great grandparents, farmers and ranchers south of San Xavier District of the Tohono O’odham Nation. 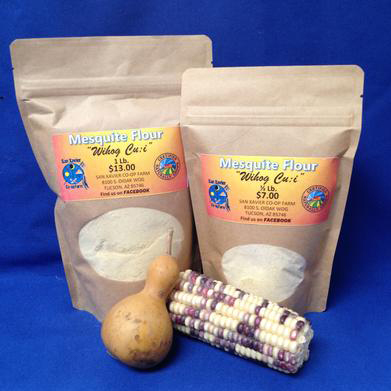 “My great grandmother would collect mesquite pods and store them in a gunny sack. In winter, she’d take them out and boil them to create a tea or sweet water. Then she’d then roast and grind up wheat berries and add that tea to make a pinole drink,” Ramon-Pierson said. This year, Tucson Meet Yourself festival-goers can try a version of pilkan cu’i, as cooks and farmers from the San Xavier Co-op Farm will be sharing traditional and indigenous O’odham foods. 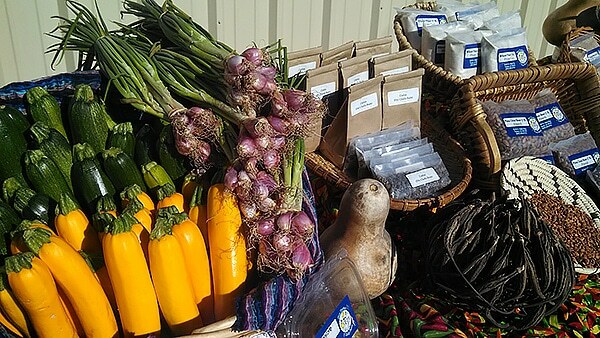 While O’odham cooks and artists have participated in the festival since its inception, this year is the first for the Co-op Farm, which specializes in bringing back traditional crops such as such as tepary beans and squash, and wild foods such as cholla buds, mesquite, and prickly pear fruit. “It’s important for us to say, as indigenous people, we are here, and that our food is just as good as food from across the ocean. We’re able to provide just a taste of what we have lived off from hundreds of years,” said Adam Andrews, administrative manager for the Co-op. 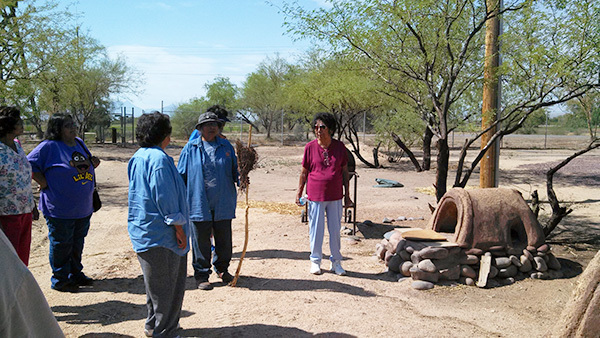 The San Xavier Co-op Farm upholds the legacy of agricultural traditions of the Tohono O’odham, who have been farming in the region for over 4,000 years. Established in 1971, the farm brought back agricultural practices that were halted when surface flow in the Santa Cruz River was compromised by groundwater pumping in the mid-20th century. In 1975, the Tohono O’odham Nation worked with the federal government to sue agribusinesses, copper mines, and the City of Tucson for water rights. The 1982 Southern Arizona Water Rights Settlement Act granted San Xavier 56,000 acre-feet of water annually via the Central Arizona Project. Today, in addition to traditional crops, the farm also produces alfalfa hay as a cash crop, said Ramon-Pierson, who serves as board member for the Co-op. But the Co-op’s primary mission is to serve the O’odham community, reeducating people how to prepare traditional foods at home, said Andrews. It also offers surplus crops to elders in the community. In addition to a pinole drink similar to that which Ramon-Pierson’s great grandmother made, the booth will offer fresh pico, salsa made with cholla buds; white and red tepary beans; tamales of cholla bud, green chile, and cheese; ga’iwsa, roasted corn soup; mesquite scones and cookies; and O’odham squash muffins. Editor’s note: It’s worth mentioning that the San Xavier Co-op Farm is a key partner of the UA Compost Cats, a student-run organization that collects food waste and scrap from local businesses, the University of Arizona, and Tucson Meet Yourself. The organic material is processed, turned, and nurtured on site at the farm, then sold as valuable compost throughout the community. 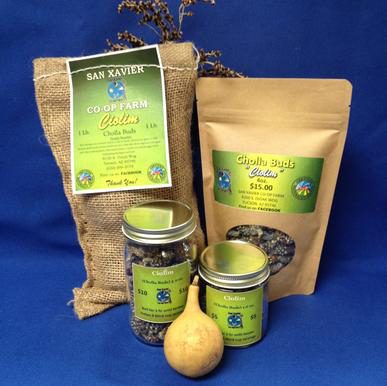 Twenty percent of the finished compost goes to San Xavier Co-op Farm for use on their vegetable crops and seedling starts.